Wolfsburg (D) – For the second year in a row, the GTI “Coming Home” meet will take place in Wolfsburg. GTI fans and visitors will be able to access the event area in the Volkswagen Arena and the Autostadt from 10 am on 1 September 2018. To bridge the gap until the next GTI meet in Wörthersee (Austria) in May 2019, Volkswagen is once again inviting fans to join the company in Wolfsburg at the end of the summer. In addition to a varied supporting programme for the whole family, a very special GTI procession is also planned as a highlight. Fans can drive their own GTIs through the Volkswagen plant where the first Golf GTI rolled off the production line in 1976. Volkswagen is also hosting the German première of the Golf GTI TCR Concept1. The vehicle was first presented at Wörthersee in May. 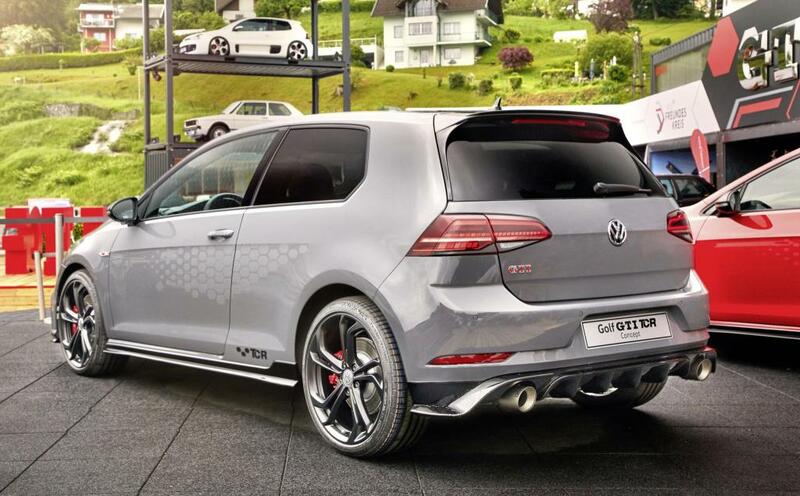 With 290 PS and a top speed of 264 km/h, the concept vehicle is one of the fastest GTIs. The 500 kW (680 PS) I.D. R Pikes Peak, Volkswagen’s first purely electric racing car, will also be showcased at GTI Coming Home Wolfsburg 2018. Volkswagen has already set two records with the electric racing car, which was constructed in just eight months. On 24 June, Romain Dumas (F) not only improved the previous record for electric racing cars at Pikes Peak International Hill Climb 2018, but also set a new all-time record for the world-famous hill climb at 7:57.148 minutes. Just three weeks later, the 40-year-old Frenchman drove the I.D. R Pikes Peak to set a new electric vehicle record of 43.86 seconds at the Goodwood Festival of Speed – 3.48 seconds faster than the previous record set in 2013. The event area opens at 10:00 am with the programme scheduled to start with the official welcome on the main stage of the AOK Arena at 11:00 am. J.P Performance will be hosting the proceedings on stage. The day’s agenda includes events such as a motorcade and fan drives. To keep fans fed and watered, refreshments will be available from Wörthersee-style food trucks. This year’s event will also be partnered by the Autostadt, who will be presenting the Autostadt Tuning Award for customised Volkswagens. If you would like to take part, simply drive through the Photo Drive in the short-stay car park from 9:00 am. Professional photographers will be on hand to take shots of private vehicles alongside sporty icons such as the GTI W12-6502 Concept2. The well-known tuning expert Lina van de Mars will be hosting the photo shoot and introducing cars and their owners. Participants will be given a link where they can download a copy of their photos. Any photos uploaded to Instagram with the hashtag #autostadttuningaward will also be entered into the Autostadt competition. The winner will be the photo with the most likes. The main prize is a weekend at the Autostadt with an action-packed programme: the highlights include a meet & greet with Lina van de Mars and a trip in a Golf MkI GTI from the ZeitHaus collection. Historic Golf and Beetle buses will travel between the Volkswagen Arena and the Autostadt, providing visitors access to both areas. The Autostadt event arena will open at 9:00 am and close at 4:00 pm. The GTI procession through the plant that is planned for the afternoon will pass through the east gate via the central route down Mittelstrasse to Südstrasse, past the Brand Tower and on to the Kraftwerk. Vehicles will be required to register on site to take part in the procession, which will be open to up to 250 vehicles. If there are more people interested than places available, the time of registration on site will be used as the determining factor for participation. Parking spaces right next to the stadium will be available exclusively for GTI drivers. Further will be signposted in the vicinity of the arena. Parking will be free and will be available on a “first come, first served” basis.